The late models of the Leica M camera line are often criticized for not offering autofocusing. It is certainly correct that a line of autofocus lenses would eliminate any of those criticisms. But is the lack of autofocus really such a hindrance? With the advent of autofocus one little trick to speed up focusing of our cameras has all but been forgotten. I am talking about hyperfocal lens settings with the help of a depth of field scale. Most lenses available today no longer have depth of field scales and thus make focusing via hyperfocal settings impossible. Fortunately, most Leica lenses still offer this advantage and its application can overcome the lack of autofocus to quite an extend. A lens can only be accurately focused at one certain distance. Everything before and after that point of focus is effectively out of focus. Yet we all know that the pictures we take show scenes and subjects to be sharply in focus over a considerable distance. Are our books of physics wrong? Not at all. The reason for this apparent contradiction is our eyes. Fortunately they aren't good enough to recognize out of focus areas in our pictures unless they reach a certain level. Imagine photographing a small point. When not properly in focus, this point will become larger and show up as a fuzzy disc. This disc has to be of a certain size before our eyes recognize it as out of focus. This representation of a point is referred to as the circle of confusion. In these days of virtually everything being auto focus we rarely pay any attention to focusing anymore. 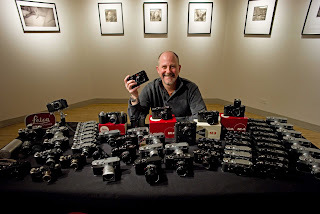 As a matter of fact, many outsiders consider the Leica M rangefinder cameras with their manually focusing lenses an anachronism. Yet in quite a variety of situations these lenses can be focused as fast or faster than any auto focus system. 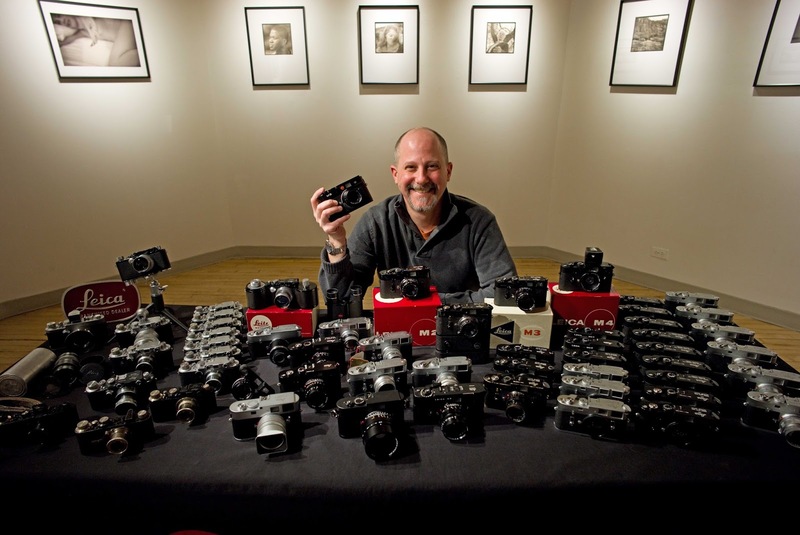 That is because the vast majority of the Leica M lenses are non-zoom lenses. That is the reason why to this day all of them have a depth of field scale. Many photographers and picture takers have no idea what a depth of field scale is, and if they do, they rarely know what to with one. 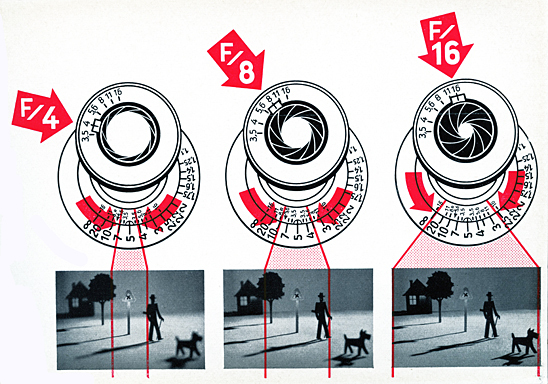 It is a known fact that the aperture setting on our lenses, the f-stop used to take a picture, determines how much of what we photograph will be in focus, how much depth of field there will be. The smaller the aperture, the more depth of field. That is what a depth of field scale is all about. It will show the distance from the point closest to the camera to the point furthest from the camera that will be in focus. Effectively one third of the total depth of field will be in front of the point of focus and two thirds will be beyond it. If applied correctly, this can actually greatly improve the sharpness of our photographs. Imagine taking a picture of a mountain scene. The mountains are obviously far enough away to constitute infinity as far as the focus settings on our lenses are concerned. Subsequently it seems to make sense to set our lenses to infinity to make sure the mountains are in focus. 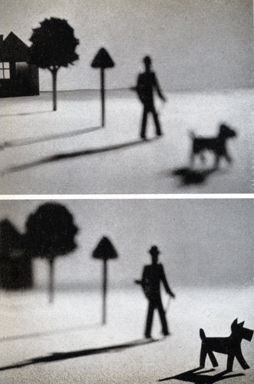 As a matter of fact, if we use the rangefinder on a Leica, this is exactly what will happen. However, let’s remember the above rule which states that two third of the depth of field is beyond the point of focus. That means in our mountain scene, two thirds of the depth of field will be wasted. 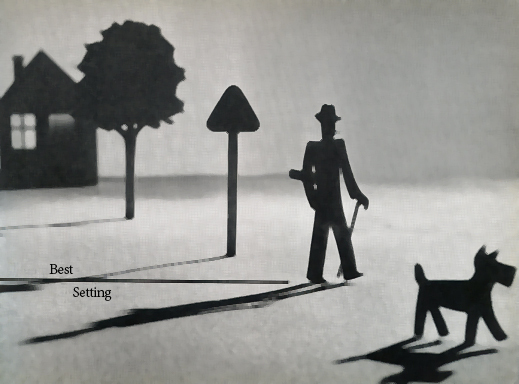 The depth of field scale will help to prevent that, if properly applied. Our exposure settings will always be a combination of shutter speed and aperture. Once we or the camera determine the correct exposure settings, we will know what aperture the picture will be taken with. Back to our mountain scene. Instead of setting the infinity mark opposite the focus mark on the lens, all that needs to be done is to set the infinity mark opposite the marking of the aperture we are using. That will still give proper focus to infinity, but it will greatly increase sharpness in the areas closer to the camera as indicated by the other aperture mark on the depth of field scale. background out of focus. Utilizing the depth of field scale assured that all is in focus. It is a fact that the smaller the aperture, the more depth of field we will have. But we shouldn’t indiscriminately use the smallest aperture all the time, because this can easily lead to the necessity of too slow a shutter speed which in turn can lead to blurry pictures because of camera movement. As I explained above, the circle of confusion determines what detail in our pictures appears in focus and which not. Unfortunately, the size of the circle of confusion must also be based on a certain picture size. In most cases that is an approximate enlargement of five times or a 5 x 7 inch enlargement from a 35mm negative or full frame digital sensor. With other words, up to a 5 x 7 inch size enlargement our pictures will display maximum sharpness and maximum depth of field. But what about enlargement greater than a 5 x 7 or if considerable cropping is necessary? Does that mean the depth of field scale on our lenses is useless? Not at all. All we need to do is use the depth of field settings on the lens with an aperture one or two stops larger than the aperture in actual use. With enlargements of 8 x 10 or 11 x 14, the next larger aperture will usually be sufficient. If the enlargement size is greater than that, use a two stop larger aperture. With other words, if the aperture used is f/11, use the apertures of f/8 or f/5.6 on the depth of field scale. Why do all of this instead of just using the rangefinder and focus on our main subject? Because you can greatly increase your speed of operating the camera. Using the depth of field scale and setting the lens as explained above, this is called hyperfocal setting, will eliminate the need to focus altogether and thus make the operational speed of your camera that much greater. The above figures are based on 35mm size negatives or full frame digital sensors. Larger or smaller negative and sensor sizes will lead to different depth of field. Different focal lengths of our lenses will do the same. In general, the shorter the focal length the more depth of field there will be. This, however, is nothing to worry about because the depth of field scales will reflect that. Give it a try. You might very well find that your pictures in some cases will display a greater range of sharpness and you will be able to use your camera a lot quicker. It might very well be the difference of being able to catch a great moment on film or memory card instead of losing it to your camera being too slow. Isn't this kind of awkward? Not really, because you do this only once and then just compose and shoot. I often use a 15mm f/4.5 Voigtländer Heliar. It doesn't even have rangefinder coupling. Instead I always use hyperfocal settings. Even wide open at f/4.5, the depth of field ranges from 3 feet to infinity. This increases to 1.5 feet to infinity at f/8 and 0.5 feet to infinity at f/16, meaning that in virtually all shooting situations I can literally point and shoot with no focusing problems at all. Isn't this a rather outdated approach and primarily an excuse for the lack of autofocus? Not at all. One of the advantages of the Leica rangefinder cameras is their highly accurate rangefinder focusing. It is more accurate than any other form of manual focusing. But any type of focusing, including autofocus, has to rely to a certain degree on adequate depth of field to overcome its inherent shortcomings. As such, using hyperfocal settings really is no different. Thus, the speed and time gained for concentrating on shooting is of a huge advantage, one that is as desirable today as it has always been. 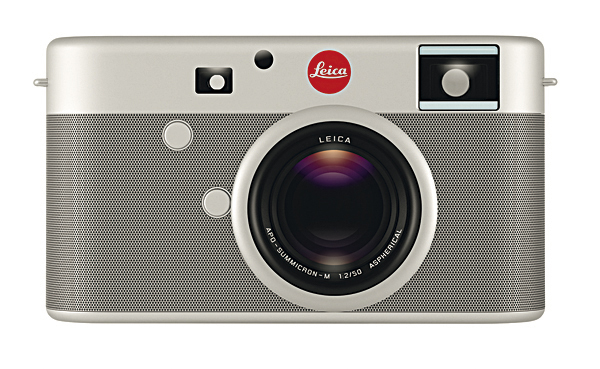 But wouldn't the addition of autofocus elevate the Leica M cameras even further? After all, you have written about this being the one thing that is missing when comparing the M cameras to the competition. Of course it would. But we must not overestimate the importance of autofocus. 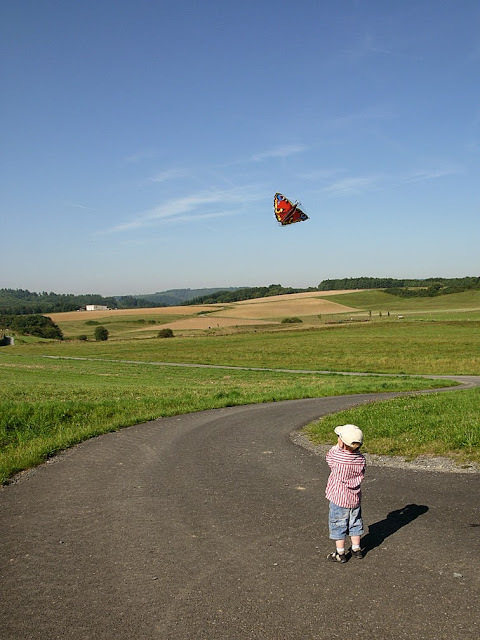 This article was meant to show that perceived lack of fast focusing with non-autofocus lenses can easily be overcome by applying hyperfocal settings. Autofocus would simply act to make a Leica more commercially appealing to the masses who are conditioned to think that automatic focusing is the be all end all. It wouldn't necessarily make the Leica "better", and in the case of many pursuits, it would actually make it worse. Holy Mackerel. This for me is revelatory, and I've been shooting a long time. Imagine, setting up the M so that you don't have to focus. Did everyone besides me already know this? For street shooting this is marvelous. I don't recognize the Leica camera on top of the article. The picture is of the Leica M Red, a special edition model designed by Jony Ive and Mark Newson of Apple fame. The camera was created for a (RED) charity auction being put on by U2’s Bono. It was auctioned off at Sotheby's. Although it was expected to fetch $500,000-$750,000, it wound up selling $1.8 million. The camera was donated by Leica and was auctioned to help the (RED) charity fight AIDS, tuberculosis and malaria. Another great posting. Good photography is thinking photography.....know your tool. You are totally correct. The overabundance of automatic features on modern cameras do make it all too easy to quit thinking and to let the camera do the work for you. This works most of the time. But try to take a photograph with tricky lighting, especially when set up in a studio or situations where the auto features can be fooled (there are many), and the results usually are a failure unless there is still a thinking photographer behind the camera. 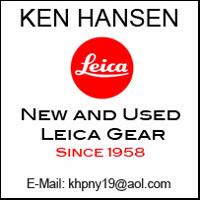 It would be a great idea to develop a new Leica M camera with rangefinder AND autofocus system. It would be more commercial and at the same time a solution for M users with glasses to shoot "wide open". The system is simply; build in the camera body a little servo motor to move the M coupling 5mm forward/backwards based on phase detection. On the moment the only "autofocus M camera body" is a Sony a7II or a9 with a Techart autofocus adapter !??? The system was invented in the '70s by Leica itself see "Leica Correfot", in that time the autofocus system was too heavy and too big. With the technologie of today it has to be possible to make the autofocus system small and build it in the body. It would be easy and practical to enjoy even more the wonderful Leica and Voigtlander M optics. If I understand you correctly, you are saying that the original Correfot system used a servo motor to move the lens mount for focusing. That is incorrect. The Leitz Correfot used a servo motor, attached to the lens, which engaged with the knurling of the focusing ring via a small gear, to physically turn the focusing ring of the lens to achieve focusing. I had a chance to use a prototype briefly in 1980. The unit actually did not add a huge amount of weight and was quite functional, even under adverse lighting conditions. The problem at the time was power consumption. The unit used a converted motor drive housing from a Leica R3 to house the batteries. Even with the relatively large number of batteries, there was only enough power for about 1 1/2 to 2 hours of use.